My father owned a Beetle. I've owned two VW GTIs and one VW Passat. Volkswagen, it seems, is in our blood. 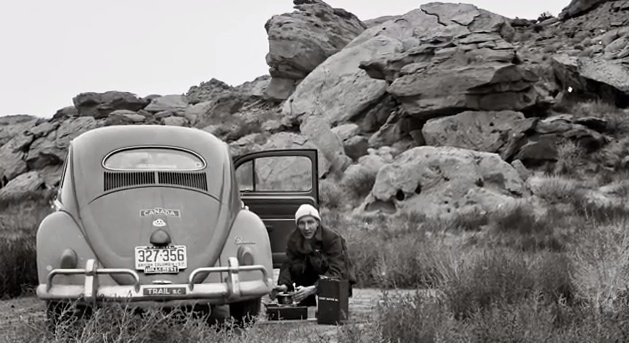 And so it was with great pleasure to see this documentary Toronto-based Red Urban created which tells the 58 years story of VW Beetle VIN #903847. After stumbling upon archival pictures featuring a man and his 1955 Beetle, Volkswagen Canada along with Red Urban, knew they had a story to tell. Tracking down 82-year old Paul Loofs, the man in the pictures, was just the beginning of a year-long project to bring the story of VIN 903847 to life. Working closely with director Hubert Davis, of Untitled Films, and Paul Jutras, of Rooster Post, Red Urban created the thirty-minute documentary 'Once More, The Story of VIN 903847', which premiered on Discovery Channel and Bravo in January. Of the project, VW Brand Marketing Manager Lynne Piette said, "We feel that it really speaks to our fans, not only reinforcing the emotional connection so many people have to the brand, but celebrating the truly remarkable stories that so many of our owners have. It is not so much about a single car, although this Beetle is remarkable, it is more about how one car connects so many different people and their experiences, proving itself as The People's Car." When my Dad sold his VW Beetle after owning it for over ten years, I was too young to put up a fight. Were I a bit older, I might have had something to say. VW Beetle VIN 903857 has 184,000 miles on it and is still on the road. My 1999 VW Passat, VIN WVWMD63B2XE215477, has 204,000 miles on it and it's still going. It hasn't been around the world three times and its 204,000 miles consist mostly of mundane interstate travel in the Northeast but it gets me where I need to go. Even if it is leaking oil and making funny creaking sounds when I turn.